I thought it was nice of the big fella to give me some room here in BLUES JUNCTION to express myself beyond the more traditional barking and wagging of the tail in which we are all too familiar. This kind of communiqué is not unprecedented, as Barbara and Bush 41’s dog, Millie wrote a best seller a few years ago. I have never read it and...Dave is shaking his head...he hasn’t either. I think a book is a little much for a dog to bite off, but then again I don’t have any stories of peeing on the lap of the Secret Service Agent on Air Force One or pinching one off in the Oval Office either. I did however take a dump one year ago today in Dave’s rectangular office. It was the first time we met. I think he liked my chutzpah. I wasn’t trying to make a statement or anything, but I had a long car ride with the dog shelter rescue lady. 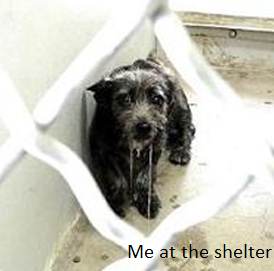 While at the pound I overheard some horror stories about what happens when you “make” in a Mercedes Benz. Anyway, Dave agreed to foster me for a couple of days until the shelter rescue people could find a suitable home for me. I was born just about four months earlier. My former owners put me in a car one day and dropped me off at a shelter. WTF?...as they say. I know I shouldn’t use that type of abbreviation but come on. I was a puppy. So I chewed up the dude’s slippers. Get over your bad self. Anyway I had a rough go of it early on being shuffled from one shelter to another. Compared to that, a couple of days with Dave might seem like a vacation. I was pretty sure our association would last more than a couple of days. My first indication was when he named me, Rosco. Yep that is Rosco without an “e”. My thinking was, he wasn’t going to name me if he wasn’t going to keep me. My English was pretty bad back in those days. Up to that point all I heard was the word “NO.” I always thought that meant, ‘keep doing what I am doing and ignore the humans that were screaming at me’. So when I look back on it I feel pretty silly when Dave asked me to go for a walk. I just looked at him, cocked my head and did nothing. BTW...Dave hates when I use abbreviations but unlike Millie, I have a word count and a deadline to deal with. 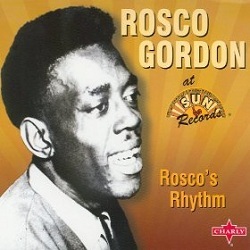 BTW, did you ever notice that Nick Curran sounds a little or a lot like Rosco Gordon when he sings? But I digress. We went for that walk and I remember I was terrified. As I look back on that now I realize it is like what FDR (another abbreviation) said, “There is nothing to fear but fear itself and the vacuum cleaner.” The neighborhood was OK aside from a couple of cats. Once we turned the corner and we were on the sidewalk across the street from the beach, I just freaked out. There were bicycles and people jogging. I saw people on roller blades and surfers. I still can’t get used to these people in the black wet suits with boards under their arms. I see them every day as I look out the front window while Dave listens to music and writes about it. I bark at them as they walk by. I just can’t help myself. I am very happy though. All the locals know me and yell out as they pass by in their cars or on their bicycles. “Hey Roscooooooooooo!” It is great to feel loved and wanted. May I suggest that if you have room in your home and in your heart to adopt a dog, you might give it a try. You’ll be glad you did. If Dave can do it, believe me ANYBODY can. There are shelter rescue organizations in your hometown. Check them out. I’ll bet Dave wants to steer this missive towards one of his favorite topics and that is blues music. Fair enough, this on-line magazine isn’t called PUPPY JUNCTION. I have developed a pretty sophisticated ear as it relates to the blues harmonica, often referred to as blues harp. Heck, it seems like when Dave isn’t listening to blues music and/or writing about it, he is talking on the phone to the musicians who make it. I like the blues harp, except when one of Dave’s friends plays it the phone while he is on speaker. It sounds kind of distorted. Anyway, one of the first harmonica players I ever heard on CD was William Clarke. His playing made a big impression on me as it was the first time I had heard anyone play the chromatic harmonica. I find it interesting that in this month’s BLUES JUNCTION, Dave does a feature on a harmonica player NOT based in California but in Kansas City of all places. His name is Scott Daniel. He has a brand new album out entitled, Mercy! A Tribute to William Clarke. It is not all harp players, all the time around here. Dave was on the phone with yet another Texas guitar slinger. 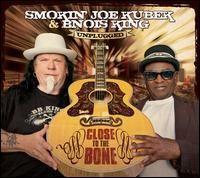 This time the cat’s (I hate that expression) name is Smokin’ Joe Kubek. He seemed like a real nice guy and we have been listening to the new album he recorded with his long time musical partner B’Nois King. The album is the duo’s first on Delta Groove Music and the guitar tandem’s first all acoustic album. I figure we can read about this in this month’s ezine as Dave has listened to the record more than once which means he likes it. It is called Close to the Bone. I love that title as you might suspect. In fact we listen to the record all the time which means the big guy LOVES it. I do too, for whatever that is worth. The CD's street date is September 18th. Also something to look forward to in September, besides the fact that the tourists will be leaving and I get to have my big sandbox all to myself again, is that this month’s installment of the World Class Blues in the O.C. is a very special show. 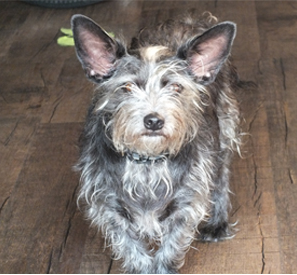 The owner of the littlest dog I have ever seen is also one of the most famous blues musicians in the world. His name is Kim Wilson and he is bringing his All Star Blues Band to the Tiki Bar. Dave will leave me alone for a few hours on that afternoon, but I am now getting used to this. I think it is important for him to get out once in a while and blow off a little steam. So check that out under the tab that reads, World Class Blues in the O.C. – Coming Attractions. If you own a dog, or even if you don’t, hang out at the Tiki Bar on September 23rd. It will be good for your ears, even if they aren’t as big as mine. Last month Dave went to the Tiki Bar and came back home in a great mood as he just got to hear a show that included both Shawn Pittman and Paulie Cerra. Enjoy a photo essay of this show by the great Alex Gardner & Chris Corbett. Another show coming up that you can learn more about is the Art Martel Birthday Bash. Artie turns 52. I have no idea how old that is in dog years but it sounds pretty old. I like Art. He doesn’t play harp into the phone when he talks to Dave. Check out the tab that reads, Straight Up Blues Productions - Coming Attractions. For the second consecutive year The San Diego Blues Festival will again be taking place. This year’s festival will be held at the beautiful Embarcadero Marina Park North on September 22nd down in San Diego. The festival has a tremendous line up of talent and this year Dave will be leaving me with my “dog sitter.” She has a little dog named Scamp so we will tear the place up and give Dave something to do when he gets back from San Diego. Last year marked the return of the San Diego Blues Festival, as it had been on an eight year hiatus. 100% of the proceeds of this event benefit the Jacobs and Cushman San Diego Food Bank. Dave has spent a great deal of time recently on the phone with a guy named Charlie Lange. Charlie has a long and varied career in the music business and is the founder and owner of Bluebeat Music. He also is back on the air as the host of a great blues program called, Two Steps from the Blues. Read part one of a conversation he had with the one and only Charlie Lange. Also check out this Month’s Jukebox at the JUNCTION. The big fella let me pick out the tunes. I picked out twenty of my favorite tunes from the BLUES JUNCTION library. This is only the second time in the history of BLUES JUNCTION that Dave let another living creature pick out jukebox selections. He is pretty fussy about his music, so I am honored. I am also the first quadruped to get to pick out tunes for the jukebox. FYI...a biped named Al Blake has done this on two occasions. Well I guess we should all be looking forward to September, as this month indicates that the dog days of summer have come to an end. 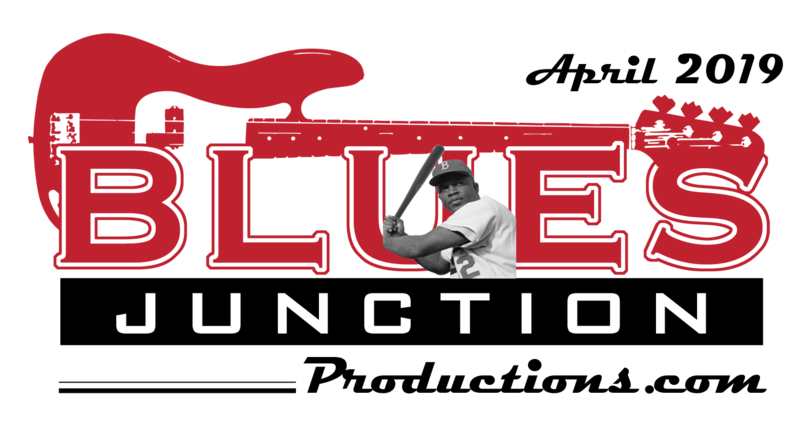 I hope you get a chance to take some time and read this month’s edition of BLUES JUNCTION it is my favorite one so far.